Which material to be used in your injection molded part is a big decision when you design to go ahead with plastic injection molding. This single decision will determine the functionality, durability and color of the piece you will create. For mold design, we will set the mold shrinkage base on the injected material’s property and shrinkage. The mold cavity size will be different when in different shrinkage, this will reflect on the size of injection molded part. 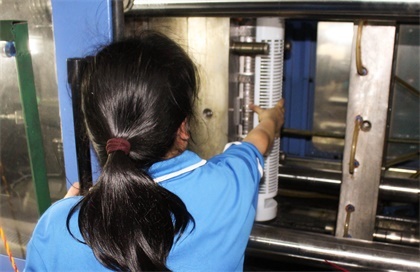 Making the right material decision, you must not only consider the material’s property, but also look at the application of your custom injection molded part will be exposed to. Will it be used outdoor or hard condition? Will it be used under pressure or high temperature? Will there be liquid or air running through the work pieces? You should take all these factors into your considerations. At TEAM Rapid, we specialize in Plastic Injection Molding and familiar with the property of injection materials. Our engineering team can base on your requirements to suggest the right molding material. If necessary, we can provide the detailed material data sheet for your reference. Are you working on your current or next injection molding project? We provide one-stop service range from rapid prototyping to low to medium volume injection molding. Contact us at sales@teamrapidtooling.com today and see how your ideas can blossom into reality.